I wanted a salad to go with my bean soup. 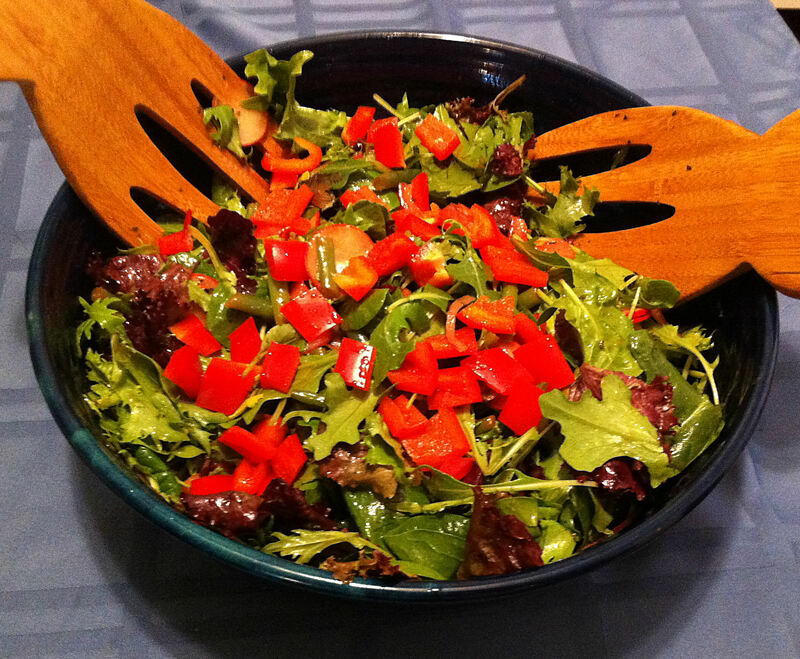 Mesclun greens are a combination of baby greens. While these, by themselves, make a perfect acceptable salad it is always better to add a few crunchy veggies for interest. Today, I am using green beans, red radish, and red onion.